My blog has been designed as a full, rich and constructive conversation about leadership: What it means, how it's developed and how it's applied. I hope a healthy and robust exchange will result in practical leadership refinement for all participants. Postings will include my viewpoint on leadership, decision-making, collaboration, communication, pressure, and more--within the context of "real life" business and a "current event" environment. I hope you'll join in the conversation! Chicago finally received its first “real” snow of the season. Snow gently sifted on us for 20 hours until we woke up today with bright sunshine and "8.” I live in an urban setting, so it is a social imperative to get out first thing and shove the communal sidewalk. The next order of business is to get the family dog out for a good run in the snow-covered park. We were running mid-shin deep in snow when we first heard it. We stopped and looked. It was the flying V.
This is not a blog about the classic Gibson rock-n-roll electric guitar that originated in 1957 (http://www.flying-v.ch/). It is about a gaggle of geese. These geese were flying south; something they probably regret not doing sooner than a 17° day in January. What I found fascinating was the honking. Geese fly in a V formation. This allows one goose to expend more energy by being the leader at the tip of the V while each successive goose gets the benefit of drafting. In return, all the following geese honk their encouragement to the leader, thus giving the leader more impetus to fly faster and farther. It is a mutually beneficial relationship between leader and followers. From the leader’s perspective, this is a classic example of what can be accomplished when you have encouragement. Having an advocate can get you through those times when you are tired, stressed, or so deep in the thick of a problem that you cannot see the forest for the trees. We all have had the relief that comes after talking to someone who knows us and our work, who tells us about the success in the bigger picture. Advocates, cheerleaders if you will, are also a benefit when they acknowledge and celebrate our successes. They incent us to achieve again and again. Cheerleaders can give us the extra push that gets us where we want to be. Just like the geese, there is a benefit for the cheerleader too. In the January-February 2012 Harvard Business Review, Shawn Achor authored an article called Positive Intelligence. In the article, he points out that his research shows that the employees who “score the highest in providing social support are 40% more likely to receive a promotion in the following year.” In addition, they feel higher job satisfaction. By being a cheerleader you are not only providing support for others but boosting your own tangible and intangible rewards. Whenever you come across an action that has win-win possibilities, try it out! After all, what is good for the goose, is also good for the gander. 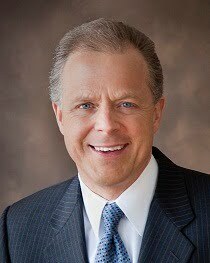 Tim Stratman - Stratman Partners Executive Coaching, Inc.
Tim is the President of Stratman Partners Executive Coaching, Inc. a Chicago-based coaching firm focusing on helping executives become more effective leaders. He is retained by C-Level executives and their organizations to provide one-on-one executive coaching and executive team development. Tim works with executives across a diverse set of industry verticals covering both private and publicly held companies. In addition to his C-Level practice, he has a sub-specialty practice focused on helping senior supply chain executives. He developed his core belief in the power of senior level executive coaching during his twenty year career in the Fortune 500. Emerging from practical experience, his coaching expertise evolved during a career that progressed through a series of diverse roles and challenges. These included P&L responsibility, global senior sales and marketing leadership, and supply chain management.